And now back to what the children like! This went down a storm. Moist and rich and lasted half a day. 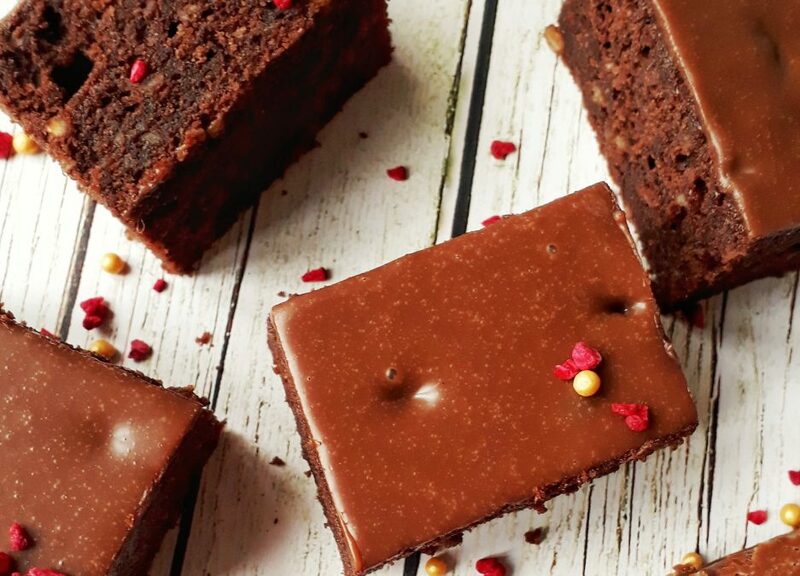 If tasty cakes like this are so easy to make, it makes you wonder why they are not on the shelves? Scrumy gluten free cakes for children with Coeliac Disease. Beat the soft butter with both of the sugars until light and fluffy. Beat the eggs in, one at a time until well mixed. Add the drops in and mix again. Then beat in the flour and almonds until well combined. Pour into the lined tin and bake for about 20 – 25 minutes. Once cooked leave to cool in the tin. Meanwhile prepare the topping. 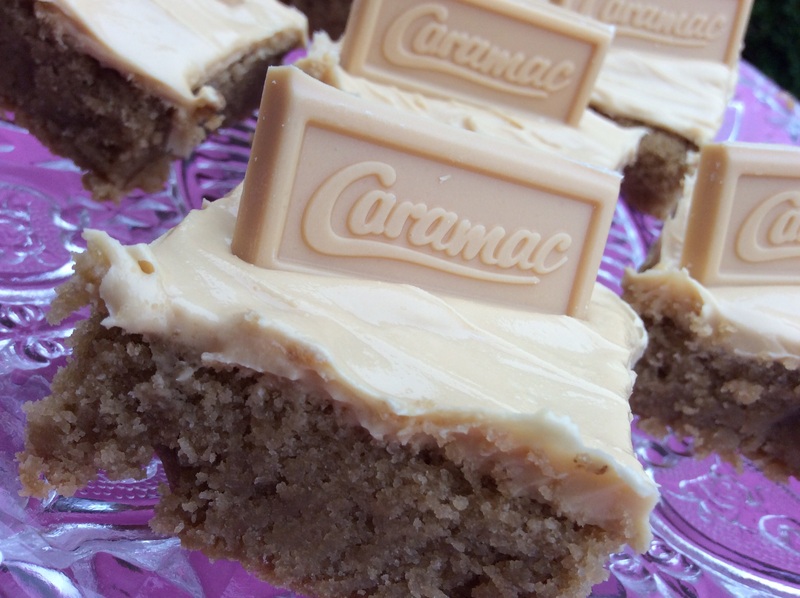 Reserve 3 bars of the Caramac for the topping. Then break up the other 6 bars and melt them gently in a bowl, set over a pan of simmering water. Ensuring the bowl does not touch the water. Separately melt the butter and pour into the melted Caramac. Once all melted and mixed, leave to cool a little before pouring over the cooled cake. Before the topping sets though, remove from the tin, and gently break the remaining 3 bars of Caramac up and decorate. Leave to cool completely then cut into squares, eat and enjoy. I love your blog and reading the recipes. This recipe however has confused me a little. 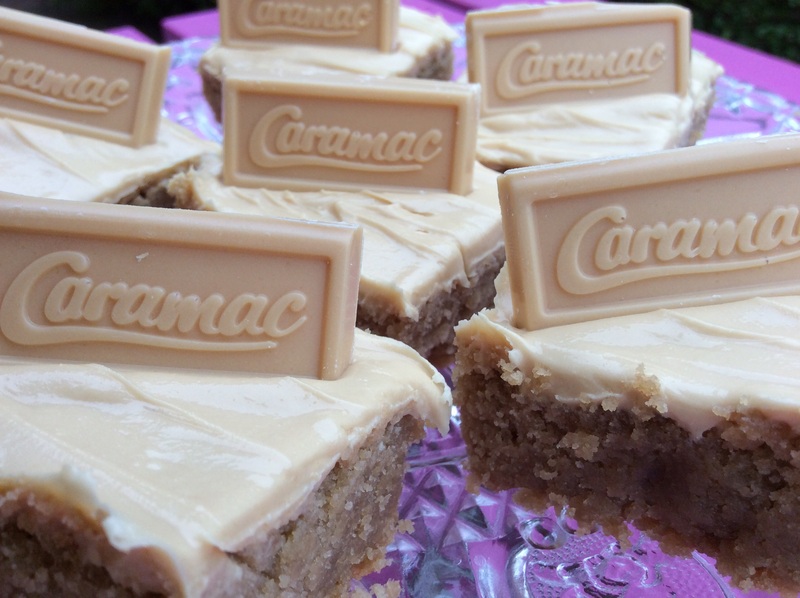 Nestle caramac is not gluten free – do you use another brand and if you do can you please let me know what it is as I have craved caramac for years. Hi. Thanks for your comment. Whilst our little one has Coeliac Disease, we have found that he can eat foods that contain no actual gluten. This I know is different for everyone who has the intolerance and the disease. Individuals will be more than aware of what they can or cannot eat.